Showing results by narrator "Louise Sproule"
This is what it's like to be an emergency doctor. That teenager puking up two liters of vodka and his stomach lining at triage? Yup. Blood pouring out of a terrified pregnant woman? Call me. 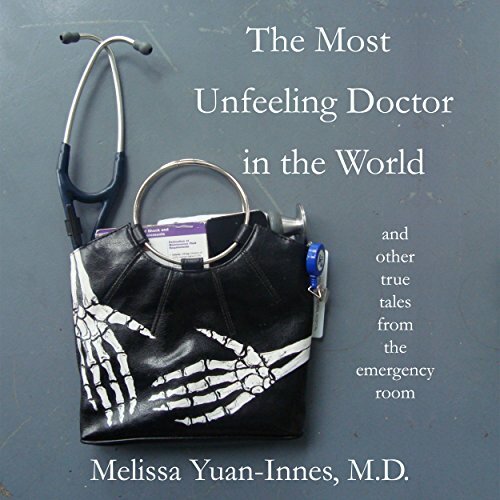 And, of course, the patient who no longer has a nosebleed screaming at me across the department, "You are the most unfeeling doctor I have ever met!" Fun fun fun. Let me peel back the curtain for you. It's not an iron curtain. In the emerg, it's most likely a crummy fabric curtain that too many other people have sneezed on. Come on in. Has nothing to do with ER stories.